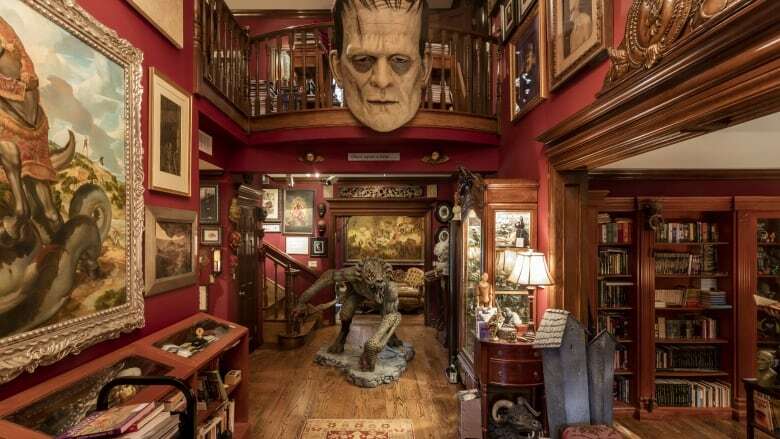 Take a peek inside the director's famed collection of macabre art and artifacts. This major exhibition is on display in Toronto Sept. 30 to Jan. 7 next year. Never mind the three-decade career that's made Guillermo del Toro a favourite of genre film fans, or the Academy Award nominations (Pan's Labyrinth), or the fact that his latest movie The Shape of Water scored the top prize at the Venice Film Festival two weeks ago. According to the filmmaker, his greatest achievement isn't on screen, it's where he lives. Or, maybe more accurately, where he creates. Bleak House, the director's famed residence outside of L.A., is his personal museum of the macabre. 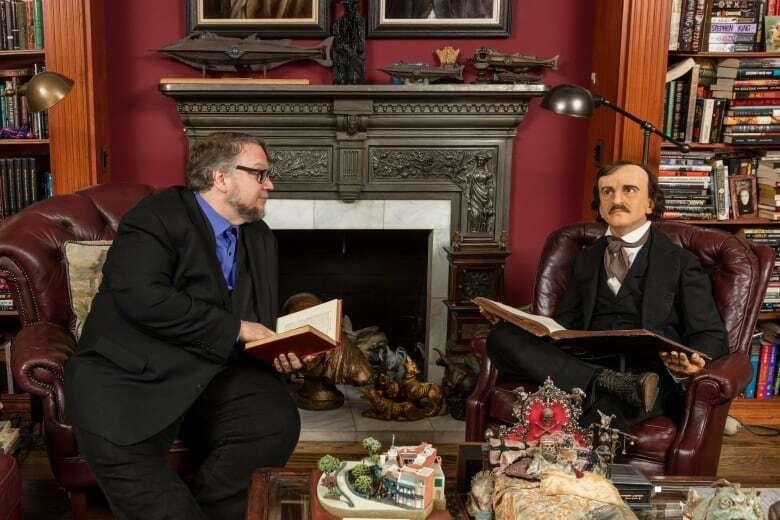 And Guillermo del Toro: At Home with the Monsters, the AGO's major exhibition for the season, aims to be the public's peek inside the filmmaker's collections — a "Lifestyles of the Goth and Famous" experience that's showing from Sept. 30 to Jan. 7 next year. "It's the single thing that I have done that expresses me the most completely, more than any of my films. Bleak House is the best thing I've done," del Toro writes in a message that greets visitors to the exhibition. The show's previously appeared in Los Angeles and Minneapolis, but the filmmaker's regularly based in Toronto — a detail that the AGO giddily announced at a media preview Tuesday morning. (He reportedly has a place in the area that calls "Mini-Bleak.") And del Toro appeared in person to introduce the show to media. "For me, this is a gallery of saints," he said to the audience, describing Bleak House as the place he goes to activate his imagination. So what will visitors find inside? Truth in advertising. The name of the show is At Home with Monsters, and monsters you will find. 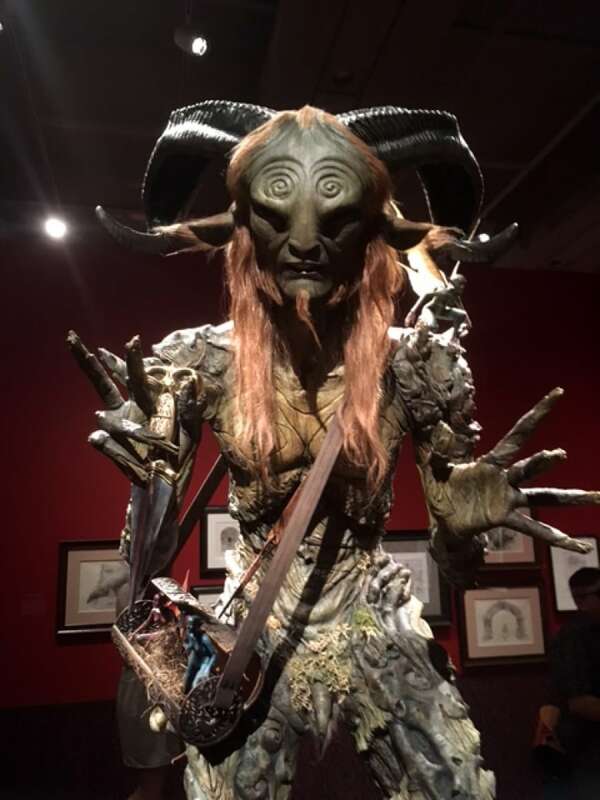 Throughout the autobiographical exhibition, Del Toro explores his lifelong fascination with creatures of myth and fiction, and of the 450+ personal objects he's shared with the museum for this show, many of these items — sculptures and drawings and movie props and magazines — focus on the creatures that have always held his imagination. "The beauty of monsters is by their mere existence, without being provocative, they exist as a living difference, the living other," he told the crowd at the AGO. (One of the more compelling sections of the show, "Freaks and Monsters," also explores his personal connection to stories about characters that exist on society's fringes.) "Most people negate or satanize — demonize — darkness in themselves, rather than trying to understand it," he said. "Monsters are a way to make peace with the other." The biggest attractions inside, are, well, the biggest monsters. Sadly, none are of Kaiju proportions, but you will discover 22 full-size specimens, including characters from del Toro's own films and classic horror flicks. There's the Faun from Pan's Labyrinth, the Ghost Mother from Crimson Peak, The Bride of Frankenstein. 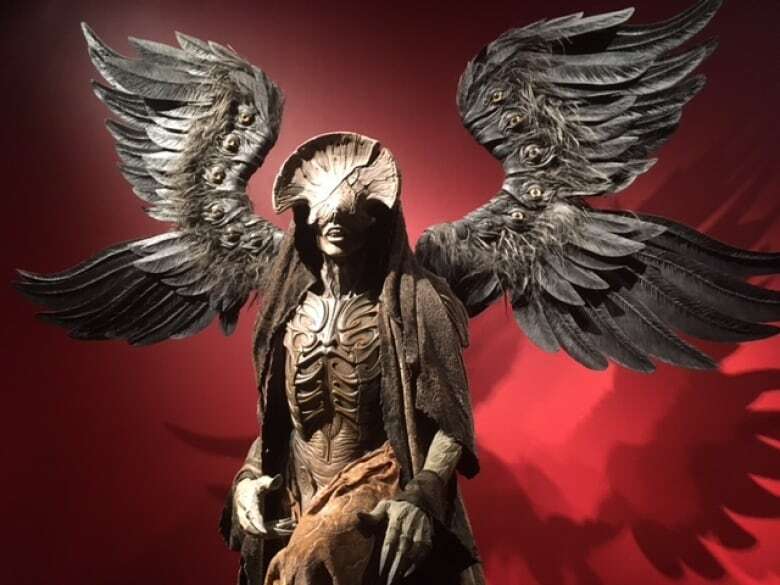 And according to the show's audio guide, the beastie that greets you at the entrance might be the only one capable of actually scaring del Toro. 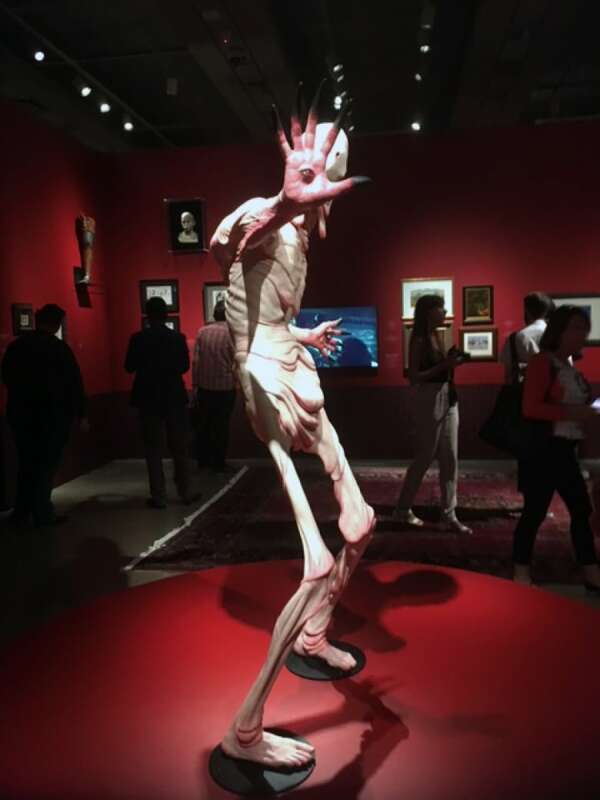 A scale replica of The Pale Man from Pan's Labyrinth watches over the first room of the show, threatening to devour the souls of all visitors under 12. "Frankenstein, to me, is instrumental in the way I see the world," del Toro says during one portion of the show's audio guide. "The way some people think about Paradise Lost, I think of Frankenstein. 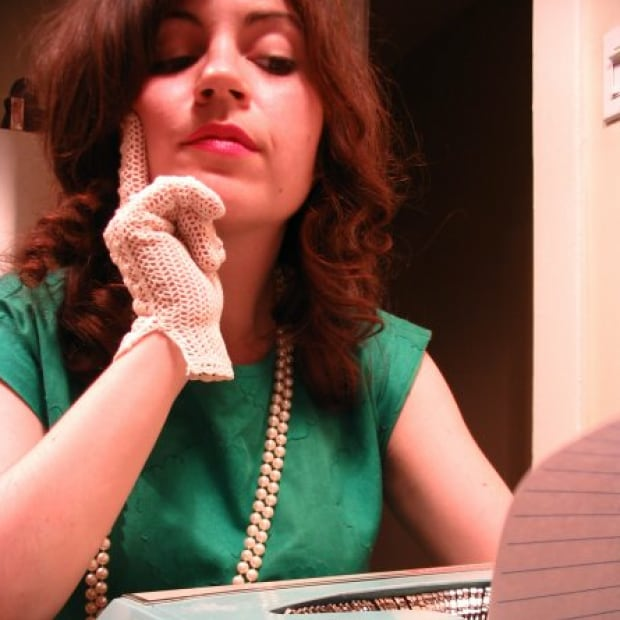 It's the essential narrative of the fall of man into an imperfect world by an uncaring creator." Paintings, models, sculptures, even a 1966 Margaret Atwood poetry collection (Speeches for Doctor Frankenstein) — no figure in the show is enshrined as much as Frankenstein's Monster, and the exhibition's pièce de resistance is a seven-foot portrait by English sculptor Mike Hill. 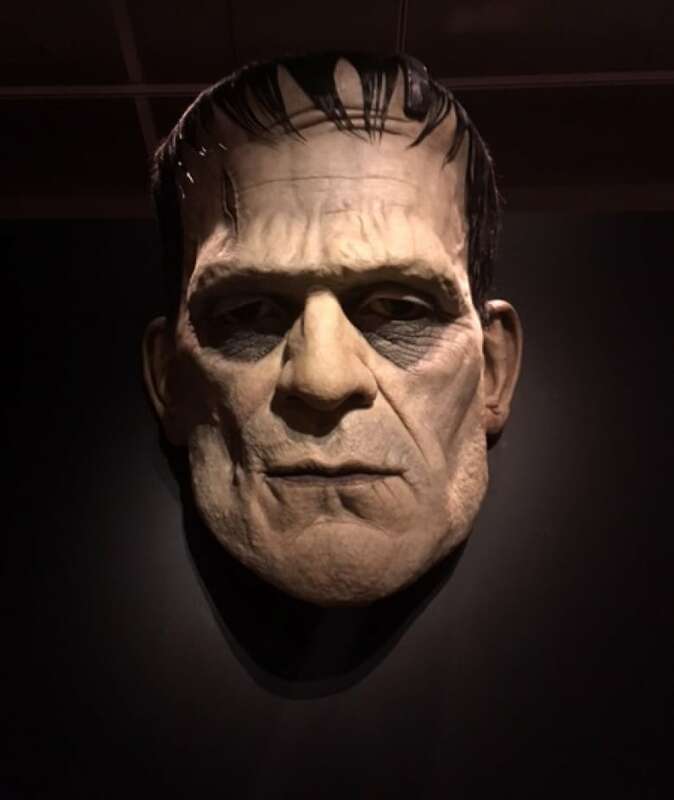 The piece usually hangs above the entrance at Bleak House, and the blown-out scale of the thing is meant to have you reaching for your pitchfork — reminding viewers of the shock and awe they felt seeing Boris Karloff's Frankenstein for the first time. One of the more fabled aspects of the actual Bleak House is del Toro's "Rain Room." It's the stuff of moody teen dreams, outfitted with windows that give the illusion of a perpetual downpour. 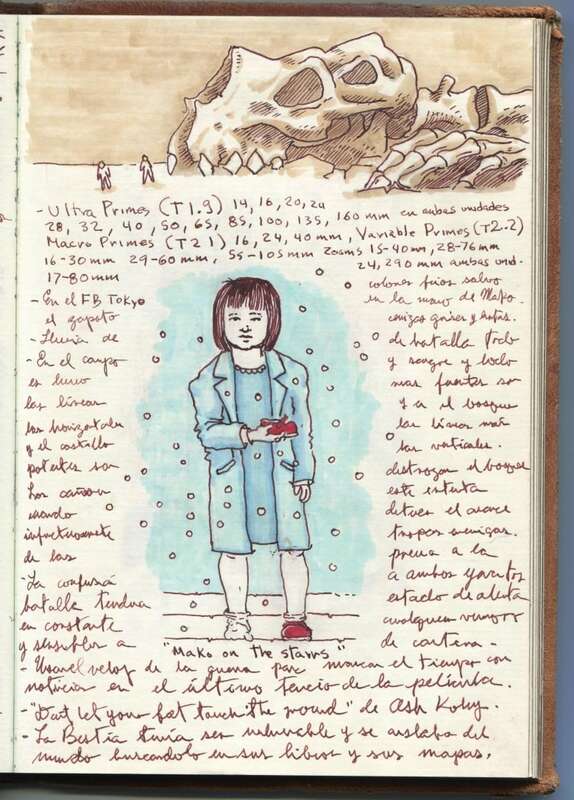 Del Toro's said to do most of his writing in the Rain Room, and the exhibition includes a nod to this dreary refuge. The entire exhibition is structured as a series of rooms. Bleak House is made up of 13 libraries, each one dedicated to a particular theme, and At Home with Monsters mirrors this idea. There's a gallery about Alchemy and the Occult, for example (which pays particular tribute to H.P. Lovecraft); a gallery for Victoriana; a gallery for movies, comics and pop culture. Fun fact: more than 1,000 comic books are hanging on the walls of the comics room, but they're not del Toro's; they're on loan from AGO curator Jim Shedden and Toronto comics shop The Beguiling. And while the AGO doesn't exactly transform their white cubes into the dusty splendour of a home museum, they've made a few nods to Bleak House's interior design. 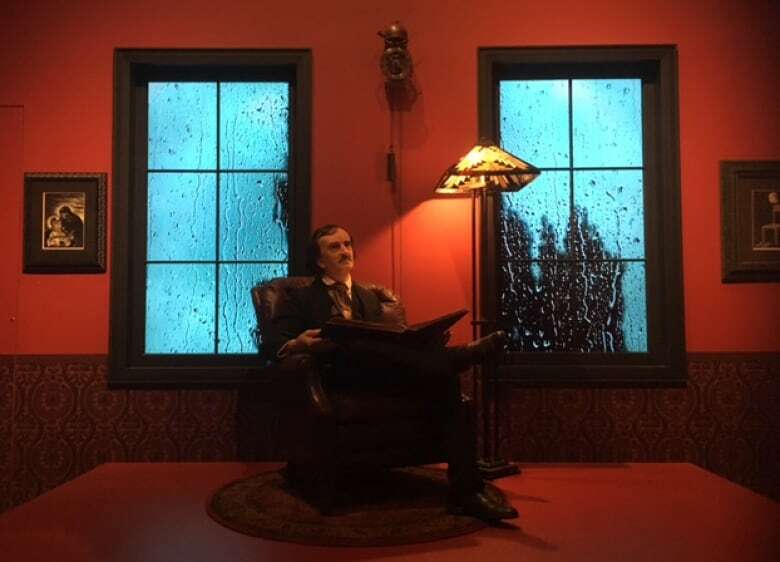 The walls are painted del Toro's preferred shade of earthy crimson, for example, and more than 2,000 books from the museum's Grange House collection stock floor-to-ceiling shelves in a few choice rooms. "The reason I create monsters and love them is that I think they speak to a very deep, spiritual part of ourselves. It is my most cherished desire that as you leave the exhibition, the monsters follow you home, and that they live with you for the rest of your life." That's the quote del Toro leaves you with as you exit through the gift shop. And for those inspired by those parting words, the upcoming season at the AGO offers a few chances to embrace the darkness within. Some of the director's best films, including The Devil's Backbone and Pan's Labyrinth, are screening at the AGO Oct. 11 to Nov. 24, in addition to an entire program of horror classics that's playing the AGO's Jackman Hall Oct. 6 to Dec. 8. 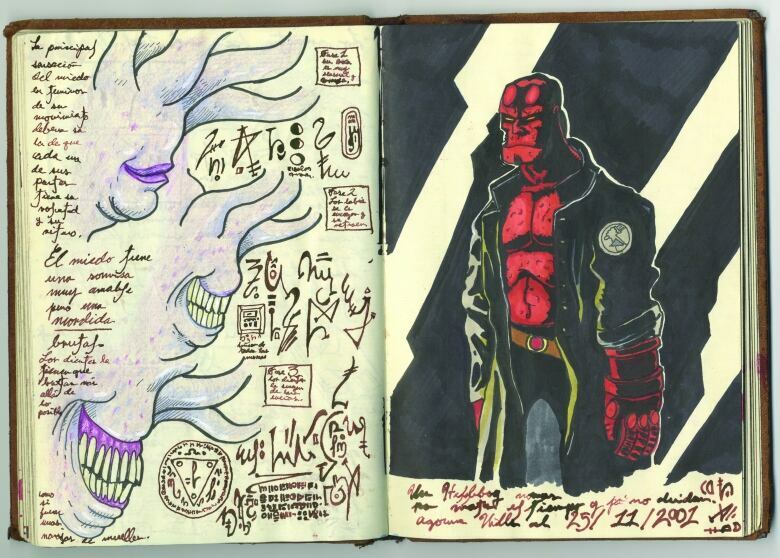 Plus, del Toro himself will be in at the gallery Sept. 27 signing copies of the exhibition's catalogue. It starts at 4 p.m. in the gallery's Walker Court.